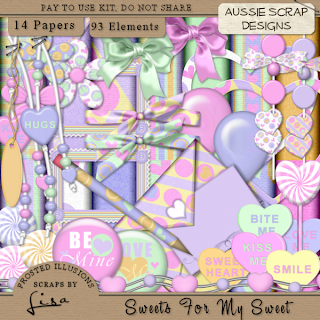 Frosted Illusions: New PTU KIt "Sweets For My Sweet"
I got this brand new kit up over at Aussie Scraps, it is availible in both Tagger & Full size. Hope you like it. 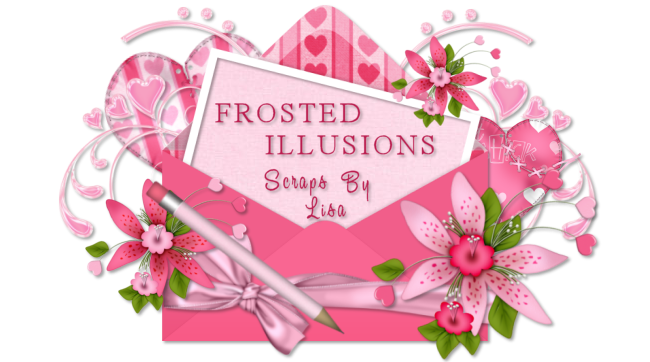 OHH and don't forget, you can get 25% off the marked price of this and any of my other kits, if you use my featured designer discount coupon at the check out!! Beautiful Kit. Reminds me of my Elementary School Valentine's Day Room Parties. Wonderful Job.